With the weather warming up in Michigan, it’s time to start getting outside more often. While some of the more die-hard cyclists don’t let winter stop them, the start of warmer weather is when the cycling season begins to kick into high gear. With nearly 1,500 miles of bike trails to explore, what better place is there for cycling than Michigan? And in fitting fashion, Michigan’s breweries serve up several bicycle-themed ales to help you relax after your two-wheeled excursions. Cheap Date, Arcadia Ales 4.5% ABV, 30 IBUs A refreshingly hoppy session pale ale, it hosts a fine white head and gorgeous aroma mirrored by its flavor which is overloaded with tropical Citra hops, citrusy Simcoe hops, and a perfect malty balance. A great anytime beer that pairs well with good, cheap fun. B2B Trail Ale, Arbor Brewing 3.7% ABV, 30 IBUs A refreshing session pale ale with a healthy dose of lime peel, a touch of coriander and some citrusy hops that makes it easy drinking, clean and crisp. Citrus and lime notes in the aroma, followed by a crisp hop bitterness and a clean dry finish. Rider Down Pale Ale, Paddle Hard Brewing 5% ABV, 48 IBUs A light, crisp pale ale that picks you up when you fall off your bike! Ermagerdness IPA, Short’s Brewing 5.8% ABV, 84 IBUs A light-bodied, golden-colored American India Pale Ale with zesty tangerine and pineapple aromatics. A simplified malt bill, along with some signature American hops, allows for an awesome burst of tropical fruit flavors up front. It then shifts toward an interesting herbal tasting bitterness, which builds and lingers on the back of the palate. Distracted Pale Ale, Fetch Brewing 5.4% ABV, 40 IBUs A dank pale ale that’s the official beer for the Fetch Cycling Group. The group meets every Thursday and has grown exponentially. Fetch Cycling Group riders wear their Fetch jerseys designed from the Distracted logo drawn by one of the brewery’s bartenders. Official Fetch Cycling Group slogan: Ride focused, drink Distracted. 51K IPA, Blackrocks Brewery 7% ABV, 68 IBUs Bursting hops all over your face, this American IPA is full of earthy grapefruit, apricot, and piney hop flavors and aromas with a nice balanced yet dry finish. Of course, pedaling is a great way to burn some serious calories. According to Harvard Medical School, a 155-lb person riding a bike between 12-14 MPH can burn nearly 300 calories after 30 minutes of riding. Not fast enough for you? The same person can burn over 370 calories on a 14-16 MPH ride in the same amount of time. At 140 calories per 12-ounce bottle, that’s over five Cheap Dates per hour! Although, we do advise against drinking that many of any beer – or having that many dates – in such a short period of time. You can’t drive or ride in a car on Mackinac Island, but you can bring your bike or rent one if you choose! $668 million: the annual impact of bicycling on Michigan’s economy, including $256 million in avoided healthcare costs, according to MDOT. The average annual cost of owning and using a bicycle is less than $300 compared with $3,000 for an automobile, according to MDOT. HUB Fest June 10, Adrian – Hadrian’s Ultimate Bicycle Fest. Cyclists will choose their own adventure from four fun-filled routes highlighting historic Adrian and Lenawee County. This one-day event hosted “off the beaten path” will truly offer something for bicyclists of all ages and abilities. Afterward, the fun continues as riders converge on downtown Adrian for a lively after-party, including beer from Michigan breweries Cotton Brewing Company and Tecumseh Brewing Company. Sunrise Adventure June 15-18, Alpena – Cycle your choice of several routes of different lengths that will lead you past historic lighthouses and down forested roads. While you’re in the area, enjoy a Michigan beer at Austin Brothers Beer Company! MUP Bicycle Tour July 9-15, Eastern UP – See majestic waterfalls, dip your toes in three of America’s Great Lakes, and enjoy off-the grid delights as you pedal through old-growth forests. You’ll be mesmerized by the UP’s rugged natural beauty and unique wildlife. And why not make a pit stop at Michigan’s own Soo Brewing Company? Shoreline West Bicycle Tour August 5-12, Western LP – Be a part of an unforgettable seven-day vacation as you pedal tree-lined roadways and past breathtaking waterfront views. Enjoy local wineries, brewpubs, farmer’s markets, crystal-clear lakes, historic resort towns, and the iconic Sleeping Bear Dunes National Lakeshore. Begins in Montague and ends at the head of the world-famous Mackinac Bridge. Mud, Sweat, & Beers Traverse City – A multi-race mountain bike event benefitting the nonprofit ski area, Mt. Holiday. Kayak, Bike & Brew, Traverse City – A Brewery Pub Pedal and Paddle through Traverse City’s beautiful urban TART bike trails, Boardman Lake & River and West Bay, lasting about 4 hours. Motor City Bike & Brew Tours Detroit – Guided bike tours that run May – September with Detroit history themes! Experienced and knowledgeable tour guides, relaxed riding pace for all biking abilities, small riding groups, Michigan beer and food (included) and safe and secure parking. With nearly 250 breweries and counting, “The Great Beer State” of Michigan ranks sixth in terms of number of breweries with craft beer having an over $1.8 billion impact on Michigan’s economy, according to the Brewers Association. The variety and quality available here provides every reason to Drink Michigan Beer®! Cheers to the summer ahead, cheers to Michigan beer, and as always please drink responsibly, and do not ride a bike while intoxicated! When not at his day job of being a budget and policy analyst, Joe O’Connell exploring all things beer is a top interest of his. 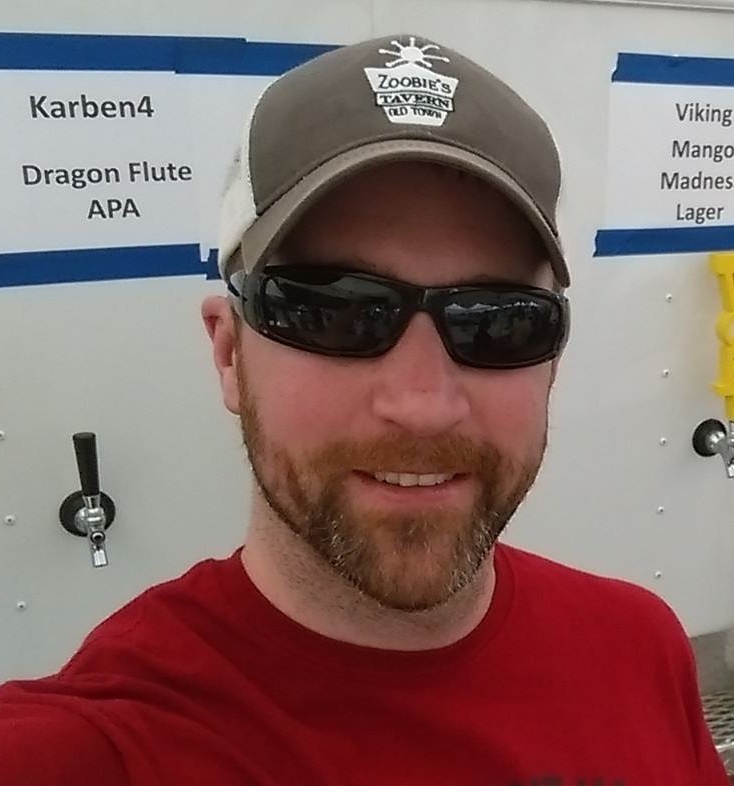 He has been a homebrewer since 2010, earned his craft brewing certificate, volunteered at numerous beer festivals, and is a co-organizer of the second-longest-running beer festival in the United States. ← Raise a Mug to “German Beer Day” in the the Great Lakes State!